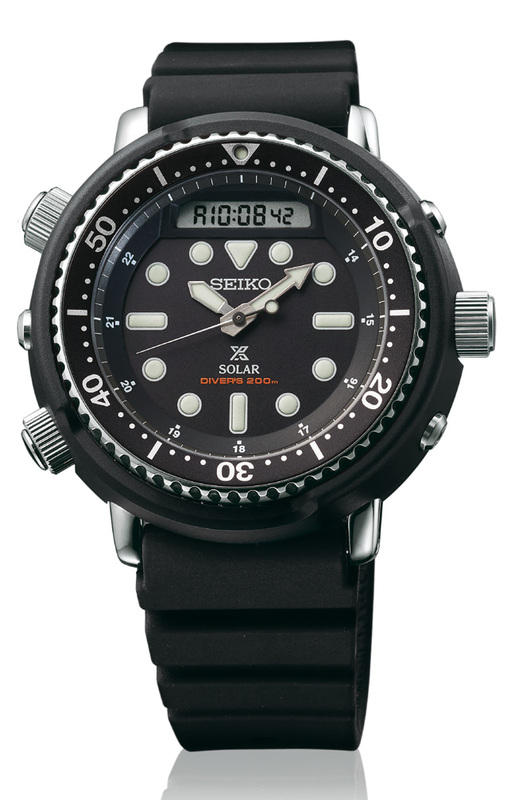 While not part of the main press releases from Seiko, that focused on high end models and limited editions, there were also a number of new standard series Prospex models announced. There are two new Ana-Digi models that have been announced. These models are reminiscent of the H558-5009 series model that was the world’s first chronograph diver’s with alarm function when it was released in 1982. The original model is often referred to by the nickname of “Arnie” as Arnold Schwarzenegger personally owned an example and he also wore the watch in the movies “Commando” (1985) and “Predator” (1987). 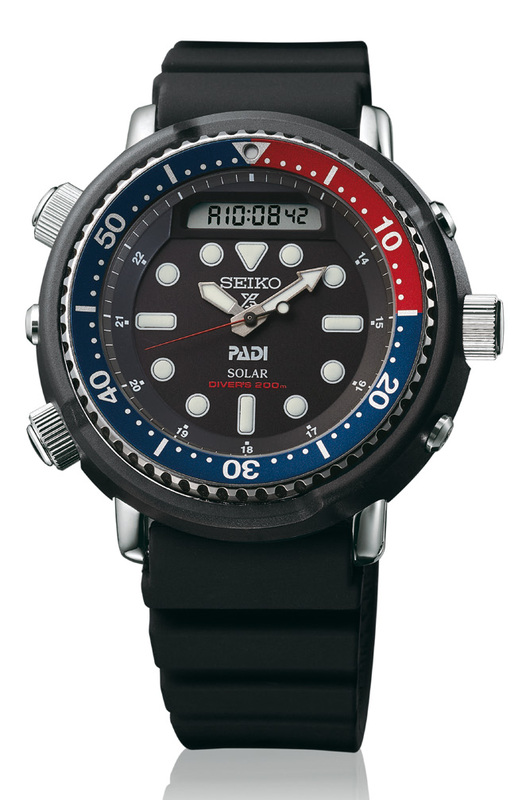 The new variant has two colorways with the black SNJ025P1 and the SNJ025P1 PADI with Pepsi bezel. The new H851 movement is used in these models and they feature much larger pushers when compared to the original model to make operation easier. In addition to the new Ana-Digi models there is also a pair of new “Monster” models. These are the SRPD25K1 that has a blue dial and bracelet and the SRPD27K1 that has a black dial and a rubber strap. Both models feature a cyclops over the day/date window and lume with a vintage appearance. 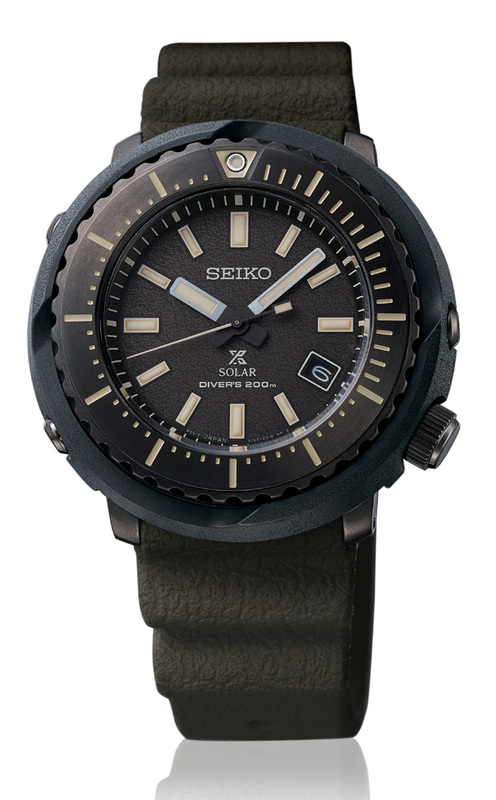 Seiko also announced a new pair of divers that look to be part of the street series. These have a plastic shroud, solar movement and a new hand set and dial that have taken some design cues from the 62MAS with a vintage style lume. The SNE541P1 has a stainless bezel and black case while the SNE543P1 has a black bezel and dark brown dial.